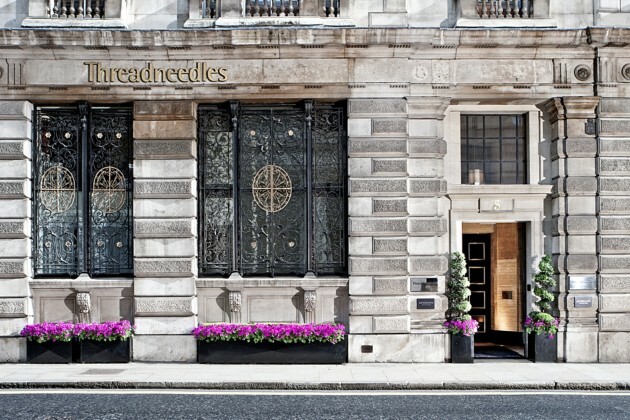 This 5* boutique hotel is an unexpected find in the heart of London's financial district. Set in a former Victorian bank, it blends history with distinctly contemporary chic. The original wooden counter is now a glamorous champagne and oyster bar for example, while the former banking hall has been turned into a lounge where guests can take afternoon tea, or meet for a cocktail beneath the glass domed roof. You will want to linger here - not least to try out the various dining options, which range from an informal meal in the bar or lounge to a grand feast in Marco Pierre White's Wheeler's of St James Oyster Bar & Grill Room - but with St Paul's Cathedral, Tate Modern and Shakespeare's Globe all within 15 minutes walk of the front door, Threadneedles is also perfectly placed for sightseeing. Copyright © 2019 ECT Travel. All Rights Reserved.